I got this machine from a friend who isn't into pinball. I know, how could I have a friend like that but I got two machines and the other id 1981 EBD. 1. the four score displays just won't come on now. They used to. but where do I check? the fuses look fine. 2. 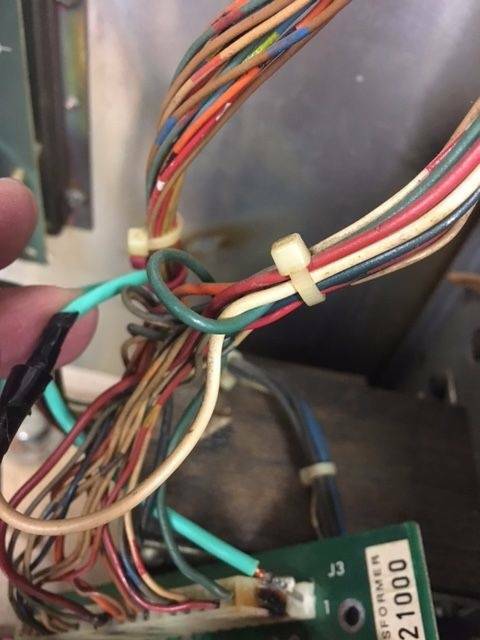 Some yahoo before me put this white wire from the blue to a wire that looks like it should be connected in the top right pin connection but don't know which one. It has four wires now and has nine spaces total. These are 2 pics on top. 3. 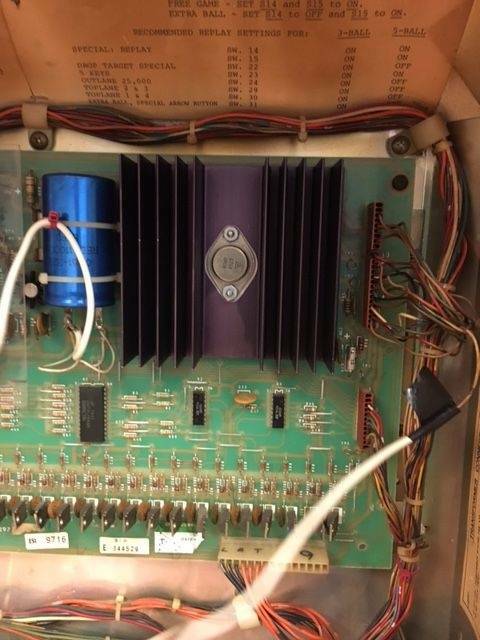 Some, maybe the same yahoo did this to the fuse board with the green wire soldered to the pin and goes to this white wire in the bundle. any idea the what white wire goes to. These are two pics on bottom. 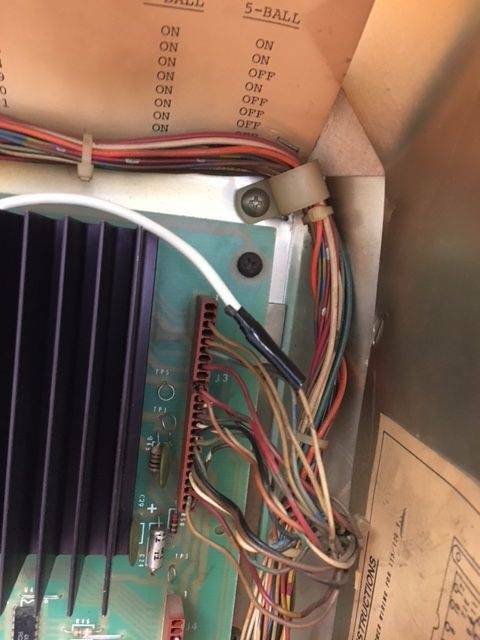 I plan on just putting on new connection, but curiosity.. well you know..
That is a bad fire hazard. All those connectors need to be rebuilt and that power supply needs to be rebuilt/replaced. Start there. Hackalicious. That thing has issues and needs. I agree with the above post. This thing is an accident waiting to happen. 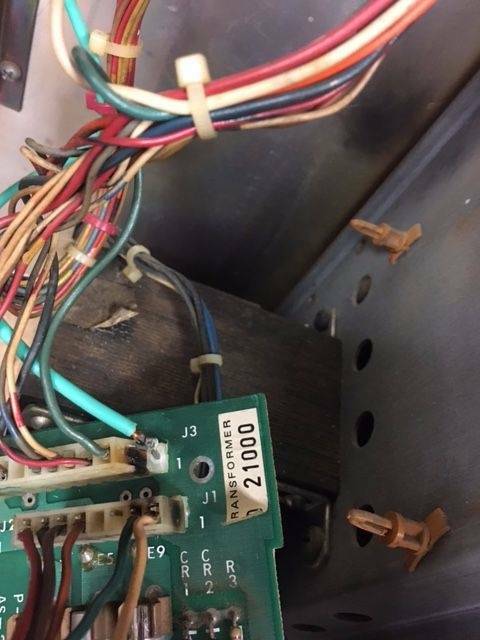 Check the fuse on your SDB to solve your display problem.